Wood comes from trees, but then where does it go? 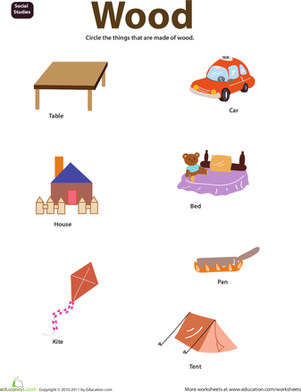 This worksheet teaches kids more about the things made of wood- one of Earth's natural resources — wood. Is a car made from wood? How about a table? As they work, kids practise their pre-writing and pre-reading skills as well! 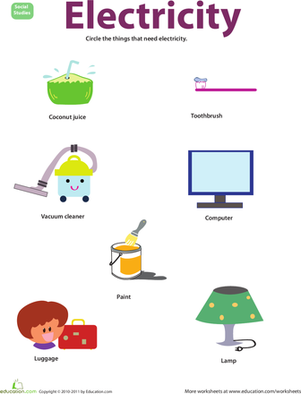 Go HereTo find more worksheets like this one. Give your blossoming learner a fun way to identify living things with this coloring series. What things are blue? 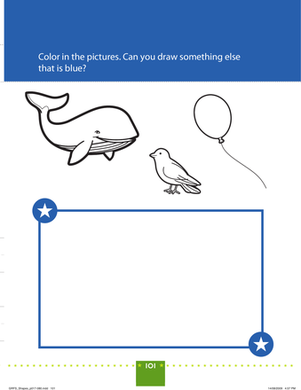 Your preschooler will learn all about the colour blue with this whale of a worksheet!